"Doubtless there will be some, in these days at least, who will say, 'Tis most helpful to me to let the bare walls alone.' So also there would be some who, when asked with what manner of books they will furnish their room, would answer, 'With none.' But I think you will agree with me in thinking that both these sets of people would be in an unhealthy state of mind, and probably of body also; in which case we need not trouble ourselves about their whims, since it is with healthy & sane people only that art has dealings." William Morris, "Some Hints on Pattern Designing," 1881. 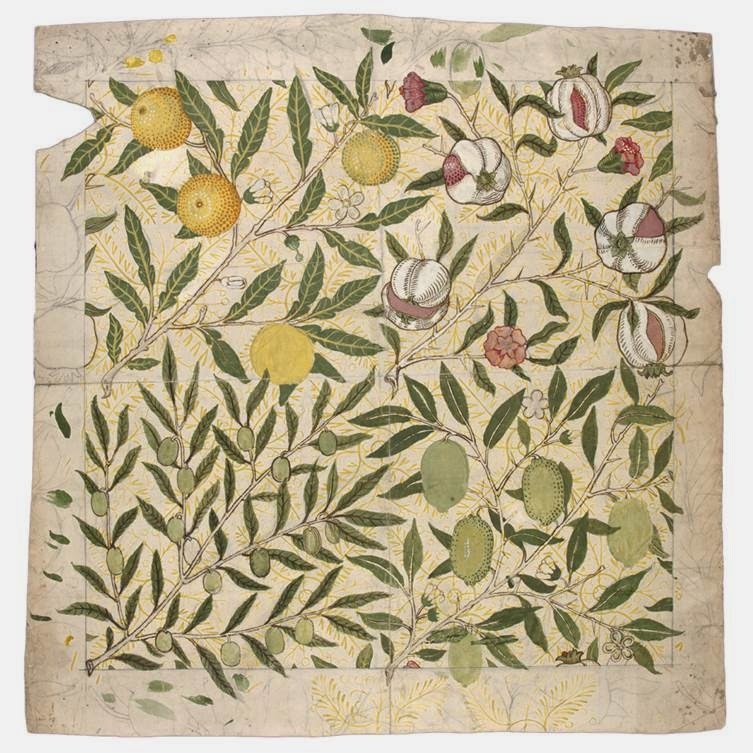 The only public gallery devoted to the life and legacy of William Morris. Housed in the Georgian mansion that was Morris’s home from 1848 to 1856, the Gallery reopened in August 2012 following a major redevelopment that attracted widespread public and press acclaim. The Gallery, which is owned and run by Waltham Forest Council, won the Art Fund Prize for Museum of the Year 2013 and was shortlisted for the European Museum of the Year Award 2014. Explore the house commissioned by William Morris, designed by Philip Webb and decorated by their group of friends. The William Morris Society occupies the basement and coach house of Morris’s London home. A Grade I listed farmhouse the River Thames; the Morris family’s country retreat and home to a celebrated collection of the work of Morris and Rossetti. National Trust property furnished with original Morris & Co. wallpapers and textiles and Pre-Raphaelite art. Banham J and Harris J eds (1984) William Morris and the Middle Ages, Whitworth Museum, University of Manchester, Manchester. Briggs A ed (1962, 77) William Morris, Selected Writings and Designs, Penguin, London. Prettejohn E ed (1999) After the Pre-Raphaelites, Manchester University Press, Manchester.